When it comes to stomachaches, most children have had a few. But if abdominal pain persists or other intestinal problems develop, it may be time to see a pediatric gastroenterologist. From nausea and vomiting to chronic diarrhea and constipation, common GI conditions sometimes have underlying causes that need to be addressed. Wolfson Children’s has been ranked by U.S. News & World Report as one of the 50 best children’s hospitals in the nation for gastroenterology and GI surgery. Finding the cause of abdominal pain is the first step. Our skilled pediatric GI specialists help find the source of the problem and treat it. At Wolfson Children’s, it’s all about kids. Our pediatric GI team uses the most up-to-date diagnostic equipment to help determine the best treatment plan for each child. Advanced technology, combined with the latest medical, nutritional and surgical treatments, result in positive results for your child. Small bodies need special care. Our special video capsule, which is the about the size of a large jelly bean, is a safe and painless way for us to get a real-time look at what’s going on inside your child’s digestive system. 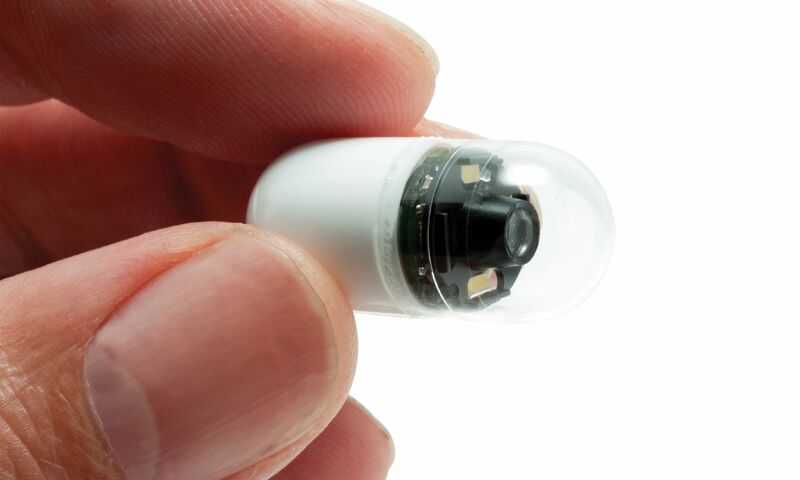 The single-use camera is swallowed like a pill and takes pictures as it travels through the GI tract. We have an endoscopy lab at Wolfson Children’s that’s just for kids with child-sized equipment made for little bodies. The tests we perform give us the answers we need to make an accurate diagnosis. With this important information, we can select the best treatment option. Depending on your child’s condition, we have treatment options that can help. You can rest assured knowing that our team of specialists, nurses, dietitians and other staff have the experience and dedication it requires to diagnose a GI condition and find treatments that work. When abdominal pain was diagnosed as a case of acute appendicitis, 10-year-old Isabel had surgery just in time at Wolfson Children’s.